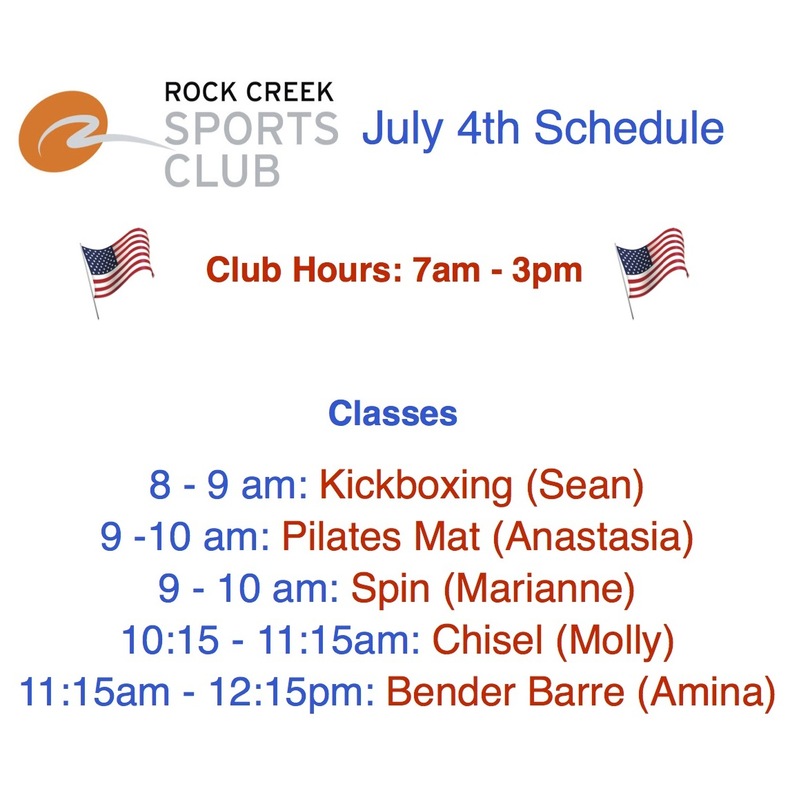 A spotlight on new developments and exciting changes at Rock Creek Sports Club. October Special: 6 classes for the price of 5! Sedentary students and active athletes alike–you can benefit from yoga in more ways than you may know. Sundays at 1:30 pm starting Oct. 4, join Ms. Jay for an hour of flexibility training, breathing practices, and learning how to decompress from the stresses of teenage life. Class card is $45 for the 6 classes—best deal in town! 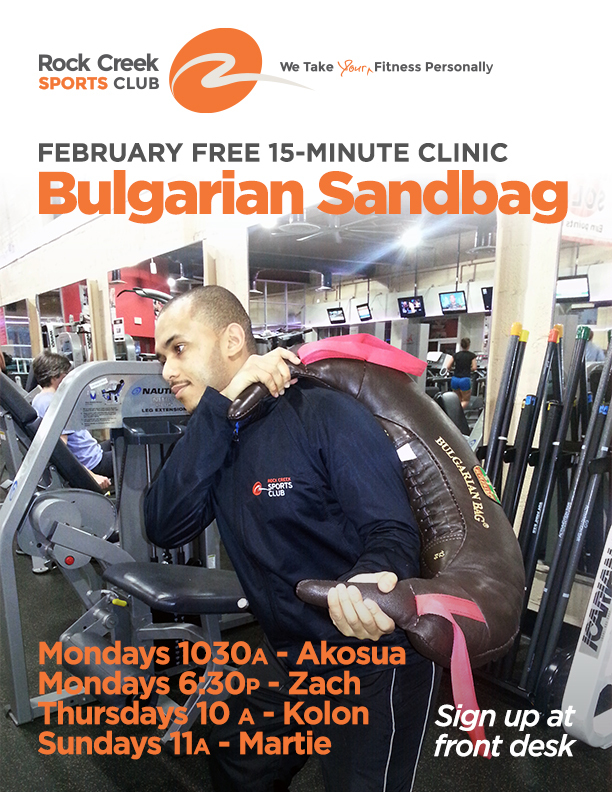 Email mlally@rockcreeksportsclub.com for info. OPEN TO NON-MEMBERS. Well, let us tell you, it’s not just for women, it’s not yoga, and EVERYONE can benefit from it. First of all, just the history of Pilates, throws two of the aforementioned misconceptions right out the window. It all began with Joseph Pilates, a former boxer and circus performer who was interred during World War I. During this time he developed a system of exercises for other interred MEN, eventually devising machines for those in need of rehabilitation due to injury or sickness! So just for women? Nope. Just for the super fit? Nope! Pilates focuses on developing a strong core (the deep abdominal muscles along with the muscles closest to the spine) by integrating the trunk, pelvis, and shoulder girdle. It is based on six principles — centering, concentration, control, precision, breath, and flow. Training develops flexibility, control of breath, body awareness or coordination, good posture and easy graceful movements, elongates and strengthens, improving muscle elasticity and joint mobility. Small Group Training Pilates Mat Classes: In our Small Group Personal Training classes, clients can enjoy the energy of a group class, but have more one-on-one attention, as class size is limited. Training sessions last 45 minutes to one hour, and are sold in packages of five for $125 or 10 for $220. If space permits, drop-in fee is $27. Pilates Mat Group Exercise: Our Group Exercise class schedule offers numerous Pilates mat classes throughout the week in a larger setting for all Rock Creek Sports Club members Check out the schedule here. Pilates Reformer One-on-One Training: Workouts consist of controlled, flowing movements in tune with the breath, working muscles through a full range of motion. The reformer adds increased resistance to the movement and results in increased muscular endurance, strength, flexibility, and improved posture. 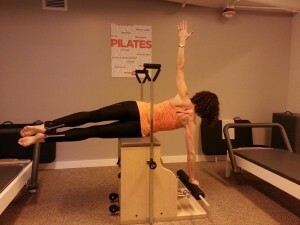 Due to the complexity of the machine and the exercises, clients must be with a Pilates Instructor to use the Reformer. More information here. You’re a hard worker, both on the job and at the gym. That can add up to sore muscles, stress and fatigue, quite possibly leading toward burn-out. Avoid it with our newest class at Rock Creek Sports Club – Restorative Yoga. Instructor Hannah Leatherbury says the class, which could also be called Cool Down Yoga or Before Bed Yoga, is a combination of Hatha yoga and restorative yoga. She explains that the first 30-40 minutes of class is doing forward folds, hip opening, twists, poses on your backs and some inverting with downward facing dog or standing forward fold. The last 30-40 minutes are spent doing restorative postures with the support of props. “All of these poses are good for relieving the stress of the day without over stimulating someone, as backbends, arm balances, and more difficult inversions could do,” Hannah adds. 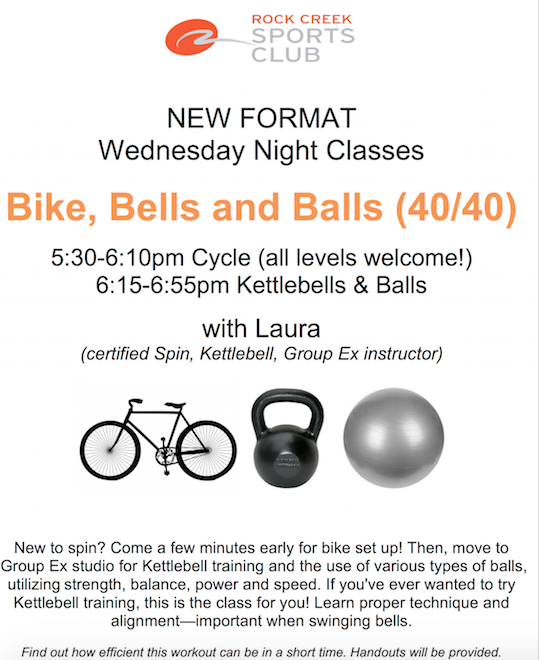 This isn’t a class where the focus is burning calories and breaking a sweat. Instead, it’s about releasing tension and stress through breathing and relaxation. Restorative Yoga is open to everyone, including beginners, those recovering from an injury, dealing with a chronic condition or illness, or simply just need a way to work in some active recovery into their workout routine. Hannah just asks that you approach her before class if you have something going on with your body that she should be aware of, so she can help you with the proper modifications. Restorative Yoga Classes take place Tuesdays at 8:10pm. You can check out other yoga classes, and the rest of our schedule here. 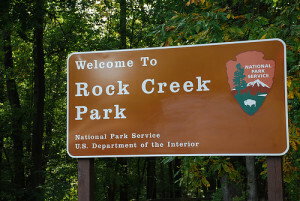 Help RCSC Clean Up Rock Creek Park this Saturday! Join Rock Creek Sports Club, Rock Creek Conservancy and the National Park Service, as we remove invasive plant species and pick up trash from Rock Creek Park this Saturday! When: Saturday, June 27, 2015 from 10:00 am to 12:00 pm. Please arrive at 9:45. Location: Volunteers will meet at Rock Creek Sports Club, 8325 Grubb Rd., Silver Spring, MD and walk down Grubb Rd. to the DC line and Rock Creek Park. Parking is available at Rock Creek Sports Club. What to Wear: Please dress appropriately for the weather. Wear sturdy boots or sneakers, no sandals. We recommend long pants and sleeves to prevent contact with poison ivy. What to Bring: Bring water. Tools and gloves will be provided. Feel free to bring your own tools and gloves if you have them. Bring SSL forms if requesting hours. Help RCSC Trainer Raise Awareness and Funds for the Guthry-Jackson Foundation this Weekend! A few weeks ago, Rock Creek Sports Club Trainer, Craig Klein shared his story with the RCSC Community. Craig was recently diagnosed with NMO (neuromyelitis optica), an incurable autoimmune disease. “This is a recent diagnosis that will remain raw for some time, but a sense of debt and enormous gratitude drive me to focus on raising awareness and organizing a charity event with Rock Creek Sports Club,” Craig said. Please join us this weekend as we raise awareness of NMO and funds for the Guthy-Jackson Foundation. Saturday 9am cycle with Debbie. Then stop by our Saturday morning bake sale for a healthy snack! 100% of the proceeds go to the Guthy-Jackson Foundation. 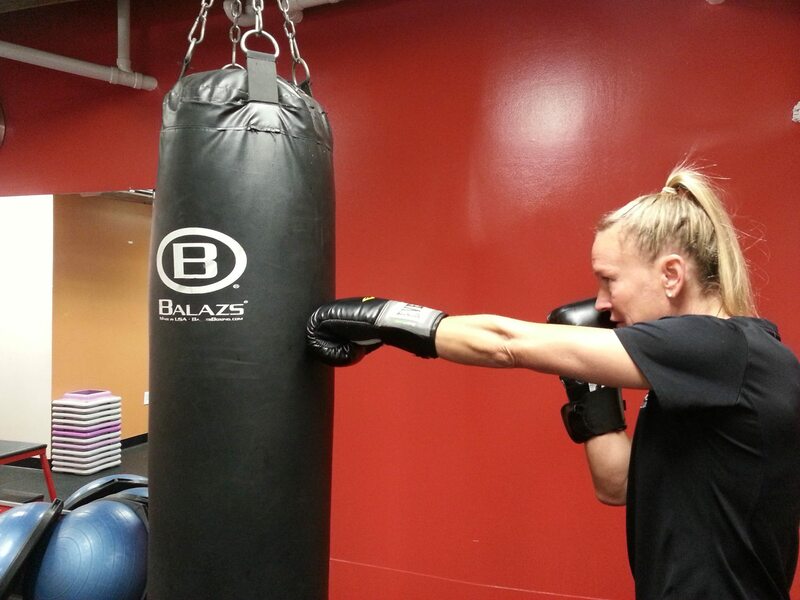 June’s FREE 15-minute clinic – Boxing! Martie and Kolon will help you learn boxing skills to improve your fitness. Sundays at 11am, Tuesdays at 6pm and Thursdays at 9am. 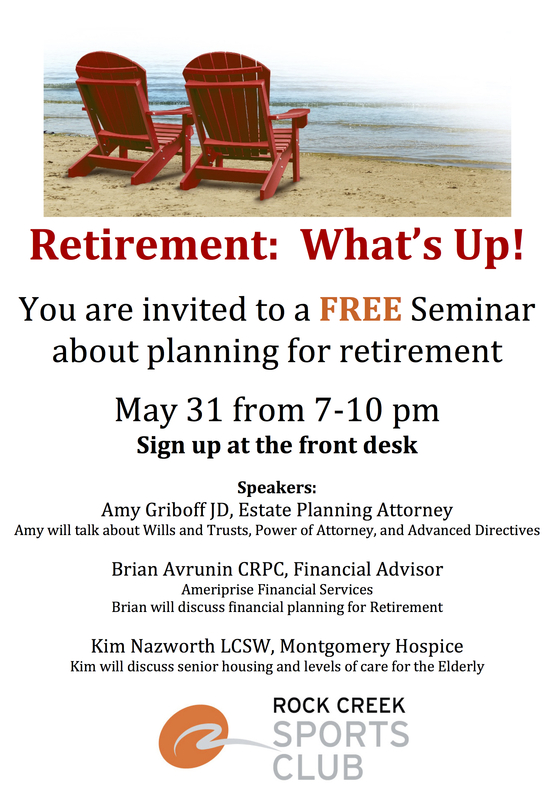 Sign up at the front desk – space is limited. 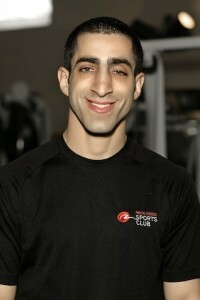 Today’s Post comes from Rock Creek Sports Club Trainer Craig Klein. You ever notice that people care more about you than you care for yourself? I feel it and see it each and every day, but it is a struggle to accept. I have NMO (neuromyelitis optica), an incurable autoimmune disease. This is a recent diagnosis that will remain raw for some time, but a sense of debt and enormous gratitude drive me to focus on raising awareness and organizing a charity event with Rock Creek Sports Club. The “Guthy-Jackson Foundation” (http://www.guthyjacksonfoundation.org/) has been a resource for myself and friends. I haven’t met another person with NMO or their primary caregiver, but I will. From June 18-21, I will raise awareness and share information on NMO through Rock Creek Sports Club’s generous support. 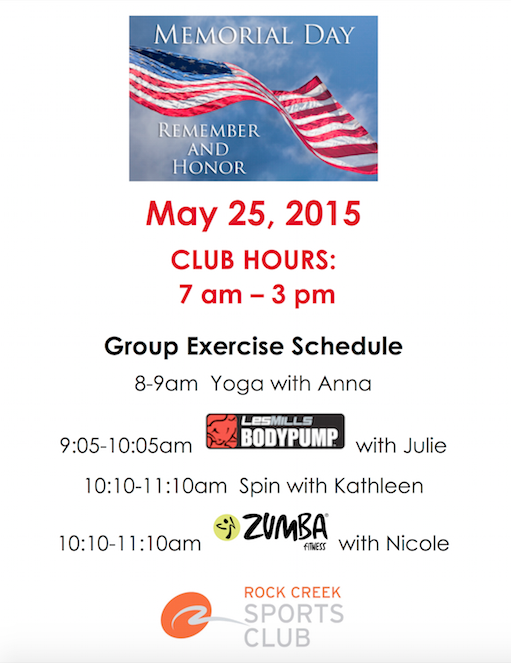 Fitness Classes, bake sales and educational material will all be available. All proceeds will go to “Guthy-Jackson Foundation” with specific times to follow – so stay tuned. The best compliment you can offer me is to learn more, ask questions. RCSC is joining the fun of Red Nose Fund Day! 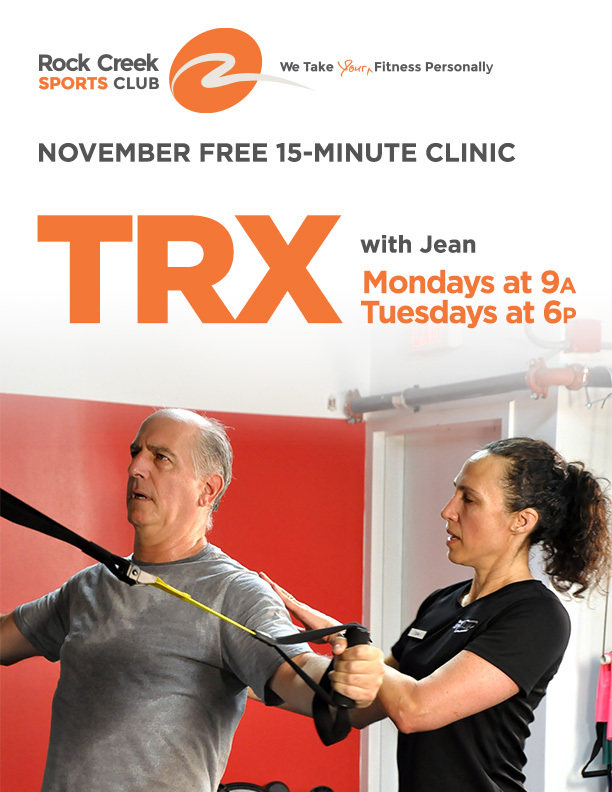 A package of 1-month membership, 1-hour Personal Training and 30-minutes Pilates Reformer! Guests will be free all day! Red Nose Day is a campaign dedicated to raising money for children and young people living in poverty by simply having fun and making people laugh. The inaugural Red Nose Day will be held in the US on May 21st, 2015. People across the country will come together to have fun and raise funds and awareness. The day’s events will culminate in a three-hour entertainment TV special on NBC featuring the country’s favorite comedians, musicians and Hollywood stars—it’s a show not to be missed! The TV special will showcase top comedy and entertainment live and in pre-recorded segments. It will also highlight the issues for which Red Nose Day is fundraising. Viewers will be encouraged to make donations by phone, and online. To learn more about the Red Nose Fund Day click on this link to a segment from the Today show. Be inspired to help lift children from poverty. If you follow us on Facebook, you know how excited we were to introduce two new Concept 2 Rowers to the gym, earlier this month! For those of you are not familiar with rowers, or haven’t thought about adding them into your regimen, we’re here now to tell you about all of their amazing benefits! Rowing actually has similar cardiovascular benefits as running. It keeps the heart rate elevated and increases breath volume, pumping oxygen to or muscles to keep them functioning. So over time, you’ll find that your endurance increases, meaning you’ll be able to stay active for a longer period of time. Where do we begin?! Rowing is a full body exercise where you’re engaging your arms, your legs, your core, and your back. In both directions, you face resistance, so you are consistently building strength. 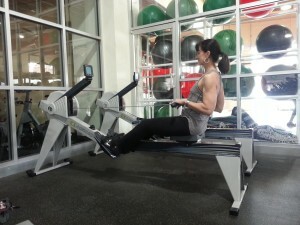 Rowing is often recommended as a great cardiovascular workout for those who can’t run (for example: due to some sort of injury) because of all of its benefits mentioned above, without the impact. Because your feet remain locked into place on the pads, and your hands wrapped around the handle, there’s less pressure on your joints. As long as you are using proper technique of course, but more on that in a bit. We know that many of you are very hard workers and sometimes that means your at your desk and hunched over a keyboard much longer than you should, or want to be. Like we stated earlier, rowing is a FULL body exercise, and that includes all engaging in a lot of those back muscles that don’t get utilized as often, or in the way that should. As you build strength, over time you may start to notice you’ll be able to remain sitting up correctly in that office chair for longer! Again, this is also all about using the proper technique. See below. First things first, if you haven’t used a rower before, please tell the front desk that you would like to learn more, and we’ll find a trainer who can show you some tips on proper form. We’ve also included a video below as a primer (or a refresher for some of you). Form is very important! Do you wish you had more time in your schedule to take care of yourself? Do you feel your life needs to be different but unsure how to make the necessary changes? Sign up for a Self-Care Strategy Session with Dr. Jattu Senesie, Thursday, April 23, 6-7pm. This event is limited to 10 participants so sign up early. 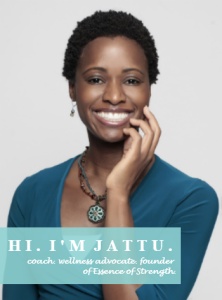 Make the $15 payment to jattu@essenceofstrength.com via Paypal to secure your spot. RCSC will open at 9am tomorrow, March 6. We expect normal operating hours for the rest of the weekend. We can’t wait to see all of your smiling faces and work out with you! The snow is coming down hard and fast! RCSC will close at 10am today. Stay safe and warm! Here at Rock Creek Sports Club we love to share news about all the of the amazing accomplishments of our members, both inside and outside the gym! 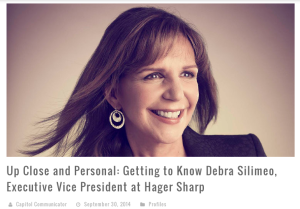 Just recently, Debra Silimeo, member since 2002, was profiled in the e-magazine Capitol Communicator for her outstanding achievements in the communications field and as the executive vice president at Hager Sharp in Washington, D.C.. In addition to her full time job, Debra adds that she is also a member of the DC Chamber of Commerce, has served on the board and is a member of the Leadership Greater Washington, is on the National Press Club’s Speakers Committee, serves on the Washington Women in Public Relations, and co-chairs the Girl Scouts’ Women’s Advisory Council. WOW, that is mouthful! So how does Debra find time to stay fit? To hit that “recharge button” Debra says she has to have her weekly spinning fix, and loves to do just about any exercise on a BOSU ball. Plus, she says she’s also a fan of our Zumba, yoga, and Presidential Arms classes, free weights, and hiking. Check out the Capitol Communicator Article Here – and don’t forget to say hello next time you see Debra in the gym! Hurry and Sign-Up at the front desk! Space is Limited! 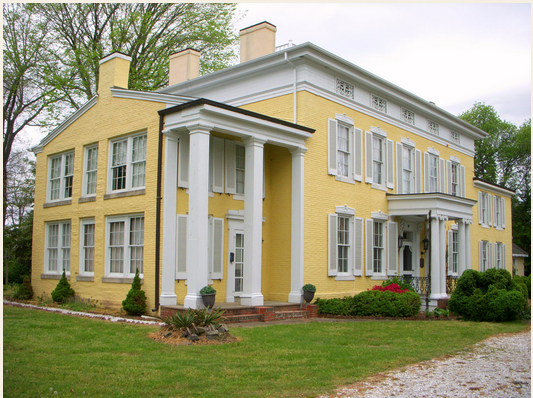 Introducing Our New Community Partner: Causey Mansion! Milford is 100 miles from RCSC and is located about 24 miles north of Rehoboth Beach and 17 miles south of the Dover area. The area is great for cycling, bird watching, beach going and just relaxing and don’t forget, Delaware is tax free. Milford is also just a short drive to Dogfish Head Craft Brewery in Milton and the Raceway & Casino in Harrington. Jan and Joe are offering a discount for members who visit in 2014 (pending availability). Mention the name of any staff member at RCSC when reserving a room and receive a 10% discount! Contact Joe at info@causeymansion.com or Call 302/422-0979 for reservation! Don’t forget to “Like” them on Facebook at Causey Mansion Bed & Breakfast too!